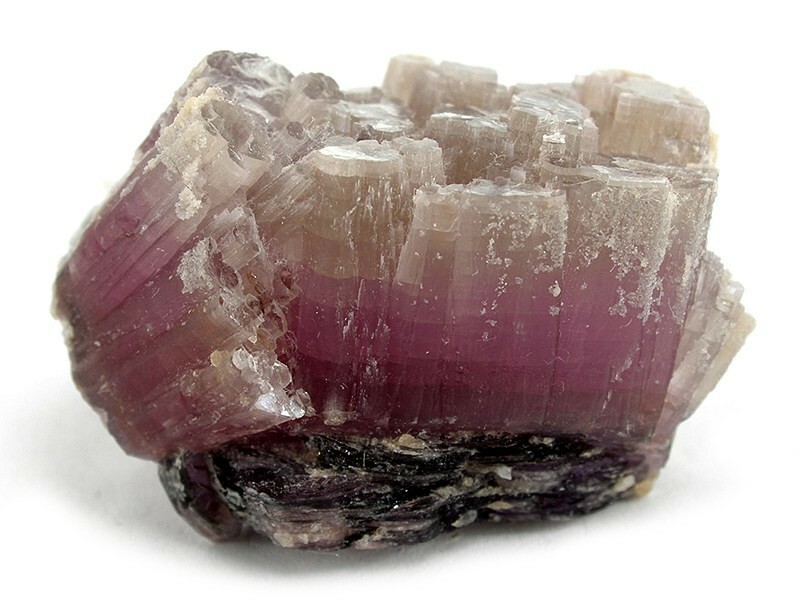 This cluster of lepidolite crystals, from the side, almost appears to merge into one, but the terminations still give evidence of individual growth. Bicolored, crystals of the lithium rich, mica, lepidolite with rose-purple cores and pearlescent terminations. The body of the crystals are a rich rose-purple and the crystal terminations are a pearlescent white. When backlit, the whole specimen glows. Photo courtesy from The Arkenstone.